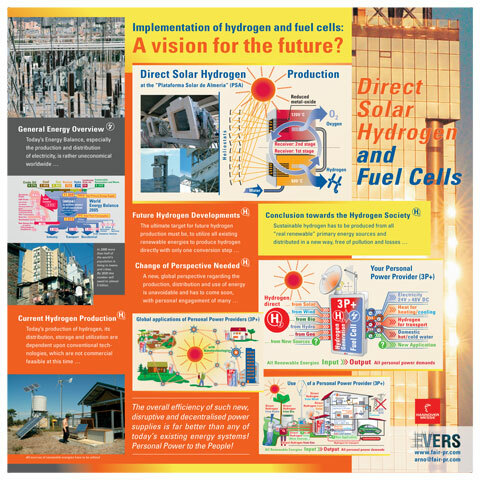 The Hydrogen + Fuel Cells International Conference + Exhibition in Vancouver, BC, Canada, was our 97th international H2/FC conferences which we attended since 2003. On the margins of this conference there was also a technical tour with approx. 40 participants. For me it was good to attend the Technical Tour, there was much to learn. We visited the AFCC Automotive Fuel Cell Cooperation and Power Tech, a subsidiary of BC Hydro, the local electricity provider. Die Hydrogen + Fuel Cells International Conference + Exhibition in Vancouver, BC, Kanada, war unser 97. internationaler H2/FC Konferenzen−Besuch seit 2003. Am Rande dieser Konferenz gab es auch eine Technical Tour mit rund 40 Teilnehmern. Für mich war es gut, dabei zu sein − es gab viel zu lernen. Es ging zur AFCC Automotive Fuel Cell Cooperation sowie zu Powertech, einer Tochterfirma von BC Hydro, des ortsansässigen Stromversorgers. 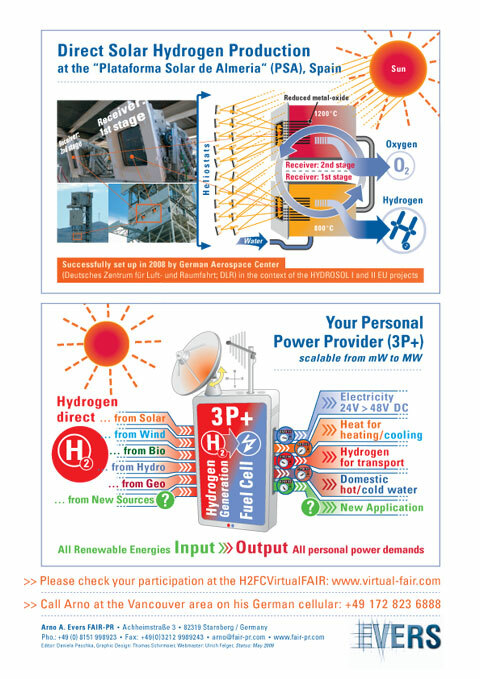 Arno A. Evers, the founder of the Group Exhibit Hydrogen and Fuel Cells at the annual HANNOVER FAIR in Germany since 1995 was presenting a poster here! You are most welcome to further discussions and explanations on this topic.